A 40-year-old lady has multiple restorations (Fig.1). 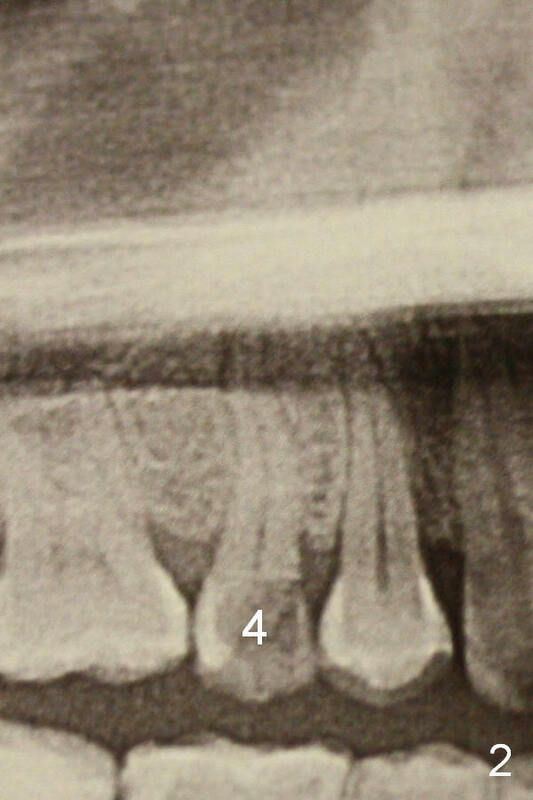 Two of them require implants (#4 (Fig.2, severe caries) and #8 (Fig.3, root fracture). The root of #4 is long and curved (Fig.2). It may present a challenge to extraction, but not implant placement. The narrow and long root is favorable to primary stability. A 2 mm pilot drill is used to initiate osteotomy in the palatal wall of the socket, followed by 2.5 and 3 mm reamers at 17 mm (gingival level). If the bone is soft, the depth for the 3 mm reamer will be reduced to 14 mm. A 4.5x20 mm Tatum tapered tap will be used at 17 mm deep to test stability. If the stability is good, a bone-level implant will be placed. How long is the implant? Why do we not use a tap from the bone-level implant kit? Take a PA when the patient returns for surgery. 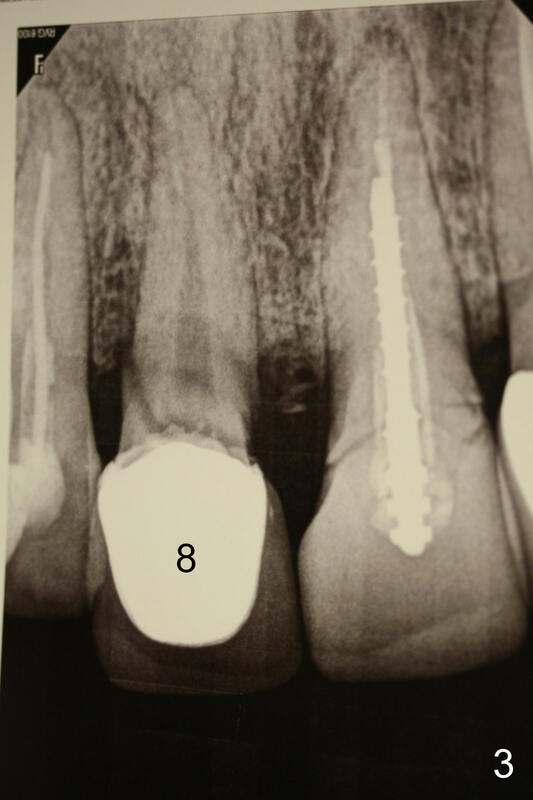 For #9 immediate implant, preop PA should be also taken, placing the sensor as high as possible. The socket will be treated with Metronidazole. For placement, use Linderman bur to move the osteotomy as palatal as possible. If the last drill or tap is palatal to the incisal edge of the neighboring teeth, a 4.1 or 4.5x14 mm bone-level implant is placed with a temporary abutment. Consider fabricating a Zirconia abutment later on.